Just about everything that makes us sick is either a protein or is protected by a protein and is therefore subject to control by proteolytic enzymes. In this report, we’re going to take a look at exactly what systemic, proteolytic enzymes are, what they do, how they do it, and what the ideal proteolytic formula looks like. In our previous report, Enzymes Defined, we explored the general nature of enzymes–what they are and what they do. In summary, enzymes are proteins that speed up chemical reactions. There are estimated to be between 50,000 and 70,000 different enzymes in your body that regulate every metabolic function in your body. Without enzymes, all of these metabolic functions would progress through the same steps, but would go too slowly to sustain life. In essence, enzymes make life happen where otherwise there would be none. Most people, when they think of enzymes, think of digestive enzymes, and in the world of alternative health, that usually means digestive enzyme supplements. But as we’ve already mentioned, there are tens of thousands of different enzymes in the human body, and 99.999% have nothing to do with digestion. Most of the proteases that we’re going to talk about in this report are serine proteases. Serine proteases are enzymes that break peptide bonds in those proteins in which the amino acid serine plays a key role at the enzyme’s active site.1 Hedstrom, L. (Dec 2002). “Serine protease mechanism and specificity.” Chem Rev 102 (12): 4501–24. http://www.ncbi.nlm.nih.gov/pubmed/12475199 In humans, serine proteases are responsible for coordinating various physiological functions including digestion, immune response, blood coagulation, inflammation, and reproduction. Equally important, serine proteases are widely distributed in nature and found in all kingdoms of cellular life as well as many viral genomes. The ability to break down serine protein bonds in invading viruses carries some obvious advantages when it comes to defending your body. The two exceptions that commonly figure in supplemental enzyme formulas are bromelain and papain, which are cysteine proteases. In humans, cysteine proteases are responsible for cell aging and cell death, and certain immune responses.2 Chapman HA, Riese RJ, Shi GP (1997). “Emerging roles for cysteine proteases in human biology.” Annu. Rev. Physiol. 59: 63–88. http://www.ncbi.nlm.nih.gov/pubmed/9074757 Thus, enzymes that regulate and enhance those reactions provide a perfect complement in any systemic, proteolytic enzyme formula. In addition, cysteine proteases play a role in bringing macrophages back into line when they are misprogrammed and attacking collagen and elastin at sites of inflammation such as arterial walls in atherosclerosis and lung tissue in emphysema. Your DNA stores the code for all of your body’s proteins and enzymes. In essence, your DNA is a protein manufacturing plant. Genetic diseases are the result of your DNA no longer producing those proteins and enzymes accurately or doing it insufficiently or excessively. It is here that proteolytic enzyme supplements come into play. They compensate for your dietary inadequacies and errors by making their way into your bloodstream, where they set to work breaking down CIC’s in your blood and soft tissues — eventually passing the waste out through your kidneys and lymphatic system. Many so called experts say that you can’t absorb proteolytic enzymes. First, they claim that as proteins, they are broken down by stomach acid unless they are in enterically coated capsules. Then, other “experts” say that even if they do survive the stomach, their molecules are too big to pass through the walls of the small intestine–so you can’t absorb them anyway. Whenever I hear these arguments, I’m reminded of the apocryphal story of the engineer who proved that bumblebees can’t fly.6 Cecil Adams. “Is it aerodynamically impossible for bumblebees to fly?” The Straight Dope. May 4, 1990. (Accessed 24 Jun 2014.) http://www.straightdope.com/columns/read/1076/is-it-aerodynamically-impossible-for-bumblebees-to-fly Applying the principles of aerodynamics, he PROVED, based on their size, weight, the surface area of their wings, and the physiological limits of how fast they could flap them, that bumblebees could not fly. Of course, as we all know, bumblebees can indeed fly. The so-called proof is humorous nonsense. The absorption of proteolytic enzymes is a lot like that. It really doesn’t matter how many theories you come up with to explain why they can’t be absorbed; in the end, you can both measure their presence in the bloodstream and, more importantly, quantify the results of supplementation in your own body. I dealt with this issue in detail in the Enzymes Defined newsletter. In summary, pepsin (which is produced in the stomach), amylase (which is found in saliva), and lactase (which is added to dairy products) are three examples of enzymes that not only survive in high acid environments but actually thrive there. Yes, there are some animal based proteases (serrapeptase from silkworms, for example) that can’t handle acid very well and need to be enterically coated; but for the most part, enzymes, even though they are proteins, are too big and too complex to be unfolded by the acid in the stomach, which means they can’t be digested. Most are merely rendered temporarily inactive by the high acid environment…and then reactivated the moment they enter the more alkaline environment of the intestinal tract. And even if all systemic proteolytic enzymes were destroyed by digestive juices, instructions for using most such formulas tell you to take them between meals — when stomach acid levels are extremely low. Thus, the issue is moot…at least for a well-designed formula, used properly. When I designed my own proteolytic enzyme formula, I specifically selected enzymes that survive the stomach acid environment. It’s actually not that hard to do. The key is to use non-animal derived enzymes. As a rule, fungal and plant-based enzymes easily survive stomach acid. Oral supplementation with non-animal derived enzymes, such as microbial or fungal enzymes — those manufactured by a fermentation process of Aspergillus, for example–possess unusually high stability and activity throughout a wide range of pH conditions (from a pH of 2-10).7 Brad Rachman, “Unique Features and Application of Non-Animal Derived Enzymes.” Clinical Nutrition Insights. 510 8/97 Vol. 5, No. 10. (Accessed 24 Jun 2014.) http://acudoc.com/Digestive%20Enzymes.PDF This not only guarantees their survival in the stomach but enables them to be more consistently active and functional as they are transported through the digestive tract. There have been studies that have specifically verified that plant-based proteolytic enzymes such as bromelain easily survive passage through the stomach.8 Laura P. Hale. “Proteolytic activity and immunogenicity of oral bromelain within the gastrointestinal tract of mice.” International Immunopharmacology. Volume 4, Issue 2, February 2004, Pages 255–264. http://www.sciencedirect.com/science/article/pii/S1567576903002972 Bottom line: most supplemental proteolytic enzymes are not destroyed by stomach acid. Now let’s address the issue of absorption. The standard medical assumption–and it was taught in medical school for years–is that no dietary protein is absorbed in an undigested form — pretty much without exception. Rather, since their molecules are too large, dietary proteins must first be digested into amino acids or di- and tripeptides before they can be absorbed. At first blush, that seems to exclude undigested enzymes, which are indeed proteins–and extremely large ones at that. But study after study proves that supplemental enzymes do indeed cross the intestinal wall and enter the bloodstream. Although the definitive answer as to how they accomplish this is unknown at this time, studies suggest that proteolytic enzymes are able to increase the permeability of the mucosal epithelium and, hence, facilitate their own absorption by a mechanism of self-enhanced paracellular diffusion.9 KOLAC C., STREICHHAN P., LEHR C.-M. “Oral bioavailability of proteolytic enzymes.” European journal of pharmaceutics and biopharmaceutics. 1996, vol. 42, no4, pp. 222-232 (68 ref.) http://cat.inist.fr/?aModele=afficheN&cpsidt=3191444 Or to translate that for the layperson: unlike food proteins that must be absorbed into the cells that line the small intestine, enzymes pass between those same cells–and thus can pass whole, without being broken down into their constituent peptides and amino acids. When summarizing the arguments pro and con on the absorption of non-enterically coated proteolytic enzymes in the intestinal tract, I’m reminded of the movie Chicago. The husband of Kitty (Lucy Liu) says to his wife when she catches him in bed with two women, “Come on, darling, you gonna believe what you see or what l tell you?” The correct answer is obvious, so she shoots him. In the end, it doesn’t matter what some experts say, proteolytic enzyme supplements can be measured in the bloodstream…and their benefits can be seen by anyone who uses them. According to a study published in the Slovakian journal, Bratislavské Lekárske Listy, there is strong evidence that systemic enzyme therapy can improve the composition of blood and the properties of vessel walls, as well as both prevent and dissolve dangerous blood clots and the consequences of venous insufficiency.13 Nouza K. “Systemic enzyme therapy in diseases of the vascular system.” Bratisl Lek Listy. 1995 Oct;96(10):566-9. http://www.ncbi.nlm.nih.gov/pubmed/8620329 The study went on to say that the key feature of enzymotherapy appears to be its immunomodulatory activity. “There exists a strong evidence for the favorable modulation of pathogenic autoantibodies, inhibition of the neogenesis of immune complexes and cleavage of their deposits, [and] normalization of the T cell system, network of cytokines [i.e., rebalancing pro-inflammatory and anti-inflammatory cytokines], adhesion molecules and inflammatory cascades.” Or again, to put things in laymen’s terms: supplemental, proteolytic enzymes can shift your immune system away from an automatic, reactive response to a more measured, moderated response, calm down systemic inflammatory cascades, and, as already discussed, significantly reduce levels of circulating immune complexes, all of which can be extremely beneficial for anyone dealing with any autoimmune conditions such as rheumatoid arthritis–as well as anyone looking to avoid them. Reduced systemic inflammation for: Increased heart health, cancer and disease prevention and recovery, Alzheimer’s prevention, fibromyalgia and chronic fatigue relief, and more. With that said, let’s now take a look at the ingredients that I include in what I consider the ideal systemic, proteolytic enzyme formula. Fungal pancreatin is a subset of fungal protease. It specifically refers to a mix of vegetarian sourced enzymes that mimics the enzymes produced by your pancreas. It is primarily a combination of trypsin, amylase, and lipase. The lipase and amylase are not proteolytic (i.e., they don’t work on proteins) but complement the action of proteolytics by working on leftover fats and carbohydrates both in the intestinal tract and the bloodstream–cleaning up what proteolytics cannot touch. Bromelain actually refers to a mix of two similar enzymes, along with their related compounds, which are extracted from the stems of pineapples. Bromelain has been used by Europeans for many years to inhibit inflammatory factors. It has been suggested by some formulators that bromelain is destroyed by stomach acid and needs to be enterically coated to protect it. That’s simply not true. Consider that the pH of the stomach ranges from 3 or 4 during digestion (with only a quick burst to as low as 1 to 2 immediately after eating a high protein meal). But the stomach’s normal resting pH between meals is about 4 or 5. Now compare that to the pH of pineapple juice at 3.3-3.6 and you can see that bromelain is more than comfortable with the acid ranges found in the stomach–especially keeping in mind that systemic enzymes should be taken between meals, not with them. And if that’s not enough, research shows that bromelain may help support healthy blood viscosity and blood platelet aggregation,21 Heinicke R, van der Wal L, Yokoyama M. “Effect of bromelain (Ananase) on human platelet aggregation.” Experientia 1972;28:844–5. http://www.ncbi.nlm.nih.gov/pubmed/4658882 so it should not be surprising that studies show it’s also protective against heart attacks. Juhasz B, Thirunavukkarasu M, Pant R, Zhan L, Penumathsa SV, et al. “Bromelain induces cardioprotection against ischemia-reperfusion injury through Akt/FOXO pathway in rat myocardium.” Am J Physiol Heart Circ Physiol. 2008 Mar;294(3):H1365-70. Papain, which is an enzyme found in unripe papayas, has properties similar to bromelain. It is well known for its use as a meat tenderizer, since, as a natural proteolytic enzyme, it breaks down the proteins in meat–thus tenderizing it. This same ability means that we find papain used in many digestive enzyme formulations. But that’s not the reason we use it in a systemic enzyme formula–at least not directly. If papain is taken between meals, it makes its way into the bloodstream where it helps reduce pain and inflammation, as well as fluid retention following trauma and surgery. In fact, studies have shown that papain possesses strongly marked anti-inflammatory activity, and this ability is no less than that of the pharmaceutical drugs, butadion and indomethacin. Rakhimov MR. “Anti-inflammatory activity of domestic papain].” Eksp Klin Farmakol. 2001 Jul-Aug;64(4):48-9. Papain is also used for treating parasitic worms, shingles, and psoriasis, as well as being used along with conventional treatments for tumors. Nattokinase is extracted and purified from a traditional Japanese food called natto. Natto is made from boiled or steamed soybeans fermented with the beneficial bacteria, Bacillus subtilis natto. Fujita M., Nomura K., Hong K., Ito Y., Asada A. and Nishimuro S. “Purification and Characterization of a Strong Fibrinolytic Enzyme (Nattokinase) in the Vegetable Cheese Natto, a Popular Soybean Fermented Food in Japan.” Biochemical and Biophysical Research Communications, Vol. 197, Issue 3, 30 December 1993, pp. 1340-1347. It is very important to understand that although nattokinase is extracted from natto, a soy based food, it is not natto itself, and it contains no soy. It is a purified enzyme that no longer has any soy characteristics left in it. Nattokinase has a remarkable ability to optimally balance the clotting ability of blood. It rivals pharmaceutical drugs such as warfarin in that ability but without any of the side effects or downsides, making it of value to everyone, not just heart disease patients. Obviously, if you are already using blood thinners, you will need to work with your doctor if you decide to incorporate a proteolytic enzyme formula in your health program–especially one containing nattokinase. Unfortunately, most doctors will opt to play it safe (for them, not you) and choose to keep you on the pharmaceuticals. Studies have also shown that nattokinase works as an ACE inhibitor to help lower blood pressure. Murakami K1, Yamanaka N, Ohnishi K, Fukayama M, Yoshino M. “Inhibition of angiotensin I converting enzyme by subtilisin NAT (nattokinase) in natto, a Japanese traditional fermented food.” Food Funct. 2012 Jun;3(6):674-8. In fact, a 2008 study conducted over eight weeks, found that nattokinase was able to moderately lower both systolic and diastolic blood pressure in hypertensive human subjects. Kim JY, Gum SN, Paik JK, et al. “Effects of nattokinase on blood pressure: a randomized, controlled trial.” Hypertens Res. 2008;31(8):1583-1588. And finally, a 2009 study out of Taiwan found that the nattokinase has the ability to dissolve amyloid fibrils, which means it may help prevent Alzheimer’s disease. Not a bad incidental benefit. Seaprose-S is a semi-alkaline, serine, proteolytic enzyme produced by the fungus Aspergillus melleus. As reported in the journal Drugs under Experimental and Clinical Research, seaprose has both anti-inflammatory and anti-cold properties, demonstrating a potent ability to reduce painful inflammation and break up mucus. Fossati A. “Anti-inflammatory effects of seaprose-S on various inflammation models.” Drugs Exp Clin Res. 1999;25(6):263-70. Specifically, this report pointed out that seaprose has shown anti-inflammatory activity against many different conditions, including arthritis, edema, pleurisy (inflammation of the lung lining), and peritonitis (inflammation of the lining of the abdomen). It also pointed out that in animal studies with arthritis, seaprose-S significantly reduced the primary and secondary lesions–demonstrating an ability to increase proteoglycan synthesis in cartilage. Seaprose’s ability to break up mucus means it can offer relief for respiratory problems such as bronchitis, pulmonary tuberculosis, pulmonary emphysema, COPD, bronchiolitis, and bronchial asthma. Seaprose is so effective in this regard that it’s actually used as an ingredient in Japanese over-the-counter cold remedies. And in two other studies, researchers found that patients who used seaprose showed significant improvements in bronchial inflammation and in the viscosity of their mucus. In other words, it made the mucus thinner so that it cleared the lungs more easily. Moretti M, Bertoli E, Bulgarelli S, Testoni C, et al. “Effects of seaprose on sputum biochemical components in chronic bronchitic patients: a double-blind study vs placebo.” Int J Clin Pharmacol Res. 1993;13(5):275-80. Braga PC, Rampoldi C et al “In vitro rheological assessment of mucolytic activity induced by seaprose.” Pharmacol Res 1990;22(5):611-617. And finally, studies have shown that seaprose is highly effective in relieving both the pain and inflammation of veins associated with thrombophlebitis, resulting from blood clot formation in the veins–a painful condition in and of itself but also closely related to deep vein thrombosis (DVT). Bracale G, Selvetella L. “Clinical study of the efficacy of and tolerance to seaprose S in inflammatory venous disease. Controlled study versus serratio-peptidase.” Minerva Cardioangiol. 1996 Oct;44(10):515-24. And studies have shown that it is more effective than serrapeptase — 85% vs 65%. Bracale. The bottom line is that serrapeptase is harder to work with, produces side effects, can’t handle stomach acid, and has to be used in an enterically coated capsule. And since the formula as is already provides all the benefits offered by serrapeptase without those problems, why use it? 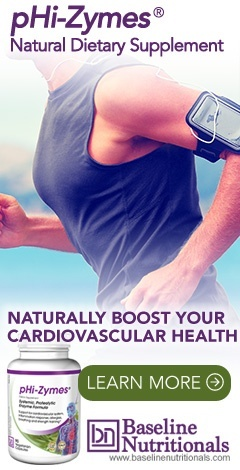 Increases the elasticity of the arterial walls, which, in turn, promotes greater blood flow and improved vascular health. Kuzan A1, Chwilkowska A, Kobielarz M, Pezowicz C, Gamian A. “Glycation of extracellular matrix proteins and its role in atherosclerosis. Postepy Hig Med Dosw (Online). 2012 Oct 29;66:804-9. Improves capillary strength and helps regulate their permeability. James Couch. “Rutin for Capillaries. USDA Yearbook of Agriculture. 1947 p711. Works as an anti-inflammatory. Teresita Guardia, Alejandra Ester Rotelli, et al. “Anti-inflammatory properties of plant flavonoids. Effects of rutin, quercetin and hesperidin on adjuvant arthritis in rat.” Il Farmaco Volume 56, Issue 9, 1 August 2001, Pages 683–687. Selloum L1, Bouriche H, Tigrine C, Boudoukha C. “Anti-inflammatory effect of rutin on rat paw oedema, and on neutrophils chemotaxis and degranulation.” Exp Toxicol Pathol. 2003 Mar;54(4):313-8. And it may be anti-carcinogenic Drewa G, Schachtschabel DO, Palgan K, et al. “The influence of rutin on the weight, metastasis and melanin content of B16 melanotic melanoma in C57BL/6 mice.” Neoplasma 1998;45:266-71. Webster RP, Gawde MD, Bhattacharya RK. “Protective effect of rutin, a flavonol glycoside, on the carcinogen-induced DNA damage and repair enzymes in rats.” Cancer Lett 1996;109:185-91. Inhibits the formation of blood clots, which can be helpful in preventing DVT. Reema Jasuja, Freda H. Passam, Daniel R. Kennedy, Robert Flaumenhaft, et al. “Protein disulfide isomerase inhibitors constitute a new class of antithrombotic agents.” J Clin Invest. 2012; 122(6):2104–2113. And finally, as we discussed earlier, rutin–along with trypsin (as found in the fungal pancreatin)–enhances the effect of the bromelain. The bottom line is that rutin mirrors the benefits of the proteolytic enzymes in the formula but does so using different, complementary pathways. Ginger is a COX-2 inhibitor. The COX-2 enzyme plays a key role in the inflammation process, which is a normal, healthy attempt by the body to heal itself. However, when inflammation gets out of control (such as in the case of arthritis or other chronic inflammatory disorders), ongoing pain and discomfort is the result–not to mention that systemic inflammation is considered to be a contributing factor to catastrophic illnesses such as heart disease and cancer. A botanical COX-2 inhibitor such as found in ginger can block the action of the COX-2 enzyme in much the same way as prescription drugs do, but without the side effects. I’ve written before about ginger’s benefits when it comes to controlling joint inflammation, but the benefits of controlling systemic inflammation go far beyond that. The bottom line is that ginger’s anti-inflammatory benefits are spread systemically throughout the body and, as with rutin, accomplish these effects using different, complementary pathways than do the proteolytic enzymes in the formula. Like rutin, ginger provides a perfect complement to our systemic, proteolytic enzyme formula. The big breakthrough in this formula is the addition of a pH buffering system (the CMIK-pH+™ Mineral Blend). This buffer provides a number of benefits, but the primary one is that it helps optimize the pH of all your soft tissue. Since your body will do anything to keep your blood’s pH in a narrow range, that means it robs Peter to pay Paul. It steals minerals and lowers pH in your soft tissue to prevent your blood from changing pH if your diet is too acid forming–as is most people’s. If you eat meat, dairy, cooked grains, desserts, and most fruit, then your diet is indeed too acid forming. The bottom line is that by raising soft tissue pH, you dramatically improve the ability of proteolytic enzymes to root out CIC’s embedded in that soft tissue, thus relieving allergies and reducing the possibility of autoimmune conditions/diseases. Protease — 300,000 HUT (Hemoglobin Units, Tyrosine basis). Fungal Pancreatin — 1,200 USP (United States Pharmacopeia). Nattokinase — 540 FU (Fibrinolytic Units) refers to nattokinase’s ability to break down the blood clotting enzyme, fibrin. Seaprose S — 15,000 U (quite simply, an enzyme Unit). Papain — 72 MCU (Milk Clotting Units). Based on how fast the enzyme digests milk protein. Sometimes listed as PU (Papain Units), which are equivalent to 0.1 MCU. Bromelain — 336 GDU (Gelatin Digesting Units). Based on how fast the enzyme digests gelatin. 1 MCU is equivalent to 0.67 GDU. Amylase — 3,000 SKB (named after the creators of the test Sandstedt, Kneen, and Blish ) or DU (used in the brewing industry). SKB and DU match up one to one. Lipase — 192 FIP. Formerly measured in LU (Lipase Units), but now more commonly measured in FIP units (i.e., according to the test methods of the Fédération Internationale Pharmaceutique). On a unit to unit basis, 1 FIP is equivalent to 10 LU. Reduced inflammation: Inflammation is a natural response of the body to injury. However, excessive inflammation retards the healing process. Proteolytic enzymes reduce inflammation by neutralizing the bio-chemicals of inflammation (bradykinins and pro-inflammatory eicosanoids) to levels where the synthesis, repair and regeneration of injured tissues can take place. Reducing inflammation can have immediate impact on improved heart health, cancer prevention and recovery, and Alzheimer’s prevention. It also helps speed up recovery from sprains, strains, fractures, bruises, contusions, surgery — and arthritis. Cleansing the blood of debris: Proteolytic enzymes are the primary tools the body uses to “digest” organic debris in the circulatory and lymph systems. Supplementing merely improves the effectiveness of the process. Dissolving fibrin in the blood, reducing the risk of clots: Nattokinase, in particular, is extremely effective at improving the “quality” of blood cells, optimizing the ability of blood to flow through the circulatory system, and reducing the risk of clots. This is extremely important in reducing the risk of stroke. It also makes using proteolytic enzymes during long plane flights to minimize the potential of blood clots in the legs an obvious choice. Dissolving of scar tissue: Scar tissue is made of protein. Proteolytic enzymes can effectively “digest” scar tissue — particularly in the circulatory system. Drink alkalinized water–but not with your meals as it dilutes your digestive juices. For most people, taking their proteolytic enzymes in the dosage described above on a daily basis, at least 1 hour before eating is all that’s needed to give you the best shot at maintaining a healthy inner environment. Since that dosage is likely to be contained in more than one capsule, it’s best to spread it out over the course of the day–say one capsule three times a day, assuming the dosage is contained in three capsules. For detoxification (really more of an overhaul and repair of your entire body), start by doubling the maintenance dosage, then tripling it if needed, and even quadrupling it — until you notice benefits, or as recommended by your health professional. You will want to run a detox program for a minimum of 30 days to as long as 12-24 months — depending on the state of your health and how much damage you are trying to repair. Can you take too much? Absolutely! As we discussed, one of the benefits of a good proteolytic enzyme formula is that it works as a natural blood thinner. But as the old saying goes, “Too much of a good thing is bad.” Unlike pharmaceutical blood thinners, though, this is unlikely to ever manifest as bruises suddenly appearing all over your body. However, if your dosage goes higher than your body can handle, you will notice an increased tendency to have spontaneous nose bleeds or increased rectal bleeding if you have any hemorrhoids. If you notice any of these symptoms or have any intestinal discomfort, or discomfort of any kind, back down your dosage until the symptoms disappear. And finally, one of the best testimonials I ever received on the benefits of systemic, proteolytic enzymes, was sent to me shortly after I released my own version of the formula in December of 2003. And based on the detail included in that testimonial and the breadth of the conditions discussed, plus the fact that it came from a health professional, it’s still one of the best. Check it out. Also Keith Scott mumby says milk is deadly has no place in body that goes for raw milktoo it doesn’t belong in body. (which i think you hint at as it is very effective) is recommended i totally would love to change to it…..thanks janice…. what is your input about the “Pauling Therapy” which recommends massive amounts of Vitamin C daily, to reverse arteriosclerosis. The evidence for the benefits of “Pauling Therapy” with cancer are stronger than for heart disease. But that said, you need to make sure that you’re actually doing the therapy as Pauling advocated. The key here is that virtually all significant studies on vitamin C — particularly those done by Linus Pauling — were done at 4,000 mg a day administered intravenously. If you're trying to evaluate a health protocol, you actually have to use the protocol in question if you wish to assess it. You can't arbitrarily cut doses to 500 mg a day and conclude the protocol doesn't work. Well.I am more than delighted to add myself to the list of Phi-Zymes users who have experienced dental benefits.Admittedly,I started on Phi-Zymes,April 4th 2012 to be exact,for the athletic/cardiovascular benefits that it promised,but sort of by coincidence I was way overdue on my dental appointment.I just hate the rough feeling on my teeth that not even a change of toothbrush can affect.Anyways,in well under two weeks(and that’s really stretching it)my teeth were as smoothe as any dentist visit I’ve ever had.It’s kinda ironic that what’s supposed to be a’minor beneficial side-effect’has in my case turned out to be the most immediate one.And a powerful one at that.Although I know the entire product is working systemically,at this point I can only speak with total clarity on the teeth benefits.The effects are just too overwhelming.Hopefully I can quantify my overall benefits at a later date. Would it be correct to assume that you should not take pHi-Zymes® if you’re taking Plavix? Hi Carson, That woud be a customer support question for Baseline Nutritionals. Here at the foundation, we are a non-profit health information service only and do not handle direct questions about products. For Jon Barron’s formulas, any customer or product related questions need to be directed to: contactus@baselinenutritionals.com. Thanks! I just have to make this comment about my experience with Phizymes. For as long as I can remember, I have had trouble with my ears plugging up when I fly, and my right ear in particular will stay plugged for two or three days. I travel weekly, so I’ve just gotten used to it. I also have bilateral pulsatile tinnitus to go along with the rest of my ear problems. On my last two trips, an amazing thing has happened. My ears did not plug up, cleared gradually on decent, and completely by the time the plane pulled up to the gate. That’s four flights! In addition, my tinnitus has taken some kind of turn, it sounds different, and is milder – sometimes I have to stop and think to see if it’s still there. I did not buy this product for my ears – this is an unexpected blessing. By the way, I’m taking three capsules when I get up in the morning, and three capsules an hour or so before dinner – usually around five PM. Will probably settle down to the recommended maintenance dose in a couple more weeks. PS: Would like to know if there are any more tinnitus victims out there, and if they’re having a similar experience. I have two questions that I need for you to answer if you can. I love your book and website. I have gluten sensitivity and have developed sensitivity to other foods. In April my tongue went numb and then I started experiencing numbness, tingling, and then eventually burning all over my body. I was diagnosed with Chronic Inflammation Demyelinating Polyneuropathy (CIDP). This is supposed to be an autoimmune disease of the peripheral nervous system. Would taking this help or hurt my condition since we are not to be taking immune boosting supplements for autoimmune diseases even though this can possibly eliminate it. I am a little confused over this because with everything I read, autoimmune diseases cannot tolerate immune boosting supplements. If you can give me some insight on this and this supplement, I would really appreciate it. I would also like for you to tell me how many to take a day to help with this condition since it roots out CIC’s embedded in the soft tissue which I think that these have settled in my peripheral nerves because my body was so overwhelmed with antibodies. My theory is that the body is attacking the antibodies that are imbedded in the nerves. If not taken care of, this can become like MS and become debilitating. Thank you for the quick response. I have another question. If the protease is made from fungus and I am allergic to molds and fungus can I still take it? Since the protease is made from fungus (fungus that made this protease is not in the enzyme) will this still effect me due to it was made from it? (I hope that makes sense)Also,is there dairy in it? I don’t think I seen where there was any dairy. If you could give me some insight on this also, I would really appreciate it. Most food grade enzymes are made using aspergillus as a fermenting agent. When the enzymes are extracted and purified, there is virtually no aspergillus left – but virtually does not mean none. For most people, the amount is so minute that there is no problem. But those who are extremely sensitive to aspergillus mold may not be able to use many products that use aspergillus as a fermenting agent. Thank you for generously sharing your knowledge. My son has Hepatitis C. He can’t afford traditional medical treatment. What would you suggest he try? Every Doctor I’ve talked to say he shouldn’t take any herbal remedies for fear of liver damage or speeding up the virus. However, most lead back to understanding the "Baseline of Health" program, which is outlined in Jon Barron's book "Lessons From the Miracle Doctors." There are no magic bullets to health, but a series of steps required to get your "Baseline of Health" up to an optimum level where the body heals itself. I am taking 35% FOOD GRADE H202 BATHS for cancer. I take proteolytic enzymes so the H202 can penetrate the cancerous cells. I take these first thing in the morning on an empty stomach before my H202 BATHS. I plan to take at least 60 or more baths. These baths kill parasites, candida, fungus and bacteria. What are your thoughts on serrapeptase and why isn't it included in pHi-Zymes? What is your evaluation of anatabine as an agent for reducing inflammation? It seems that this supplement would be a God send to someone with sarcoidosis except for the fact that the immune system is already over active in sarcoidosis and this supplement boosts the immune system. If it regulated it, that would be a diffferent matter. Could you comment on this please. Thank you, Jane. Thanks for all the information you provide on here. I have recently started supplementing with both food enzymes and proteolytics in between meals based on a few of your articles. My question is regarding their effects on probiotic content – not so much the digestive enzymes as much as the proteolytics. In the same way proteolytics are recommended to be taken on an empty stomach, many probiotics are also recommended, also. Therefore, I’ve been taking both of them together when I wake in the morning and waiting over an hour before having my first meal. Regardless of whether they are taken together or not, my question is the effects of proteolytics both on the good bacteria in the gut as well as on the efficacy of probiotics taken while on a regimen of probiotics. So, question: If proteolytics affect the proteins and life/death of bacteria, yeasts, fungi, and molds, etc., do they negatively affect the positive bacteria we want in our gut, or prevent the probiotics from working? I’m sure proteolytics work in many specific and, additionally, varied ways to affect many different areas of the body – but not being an ND or MD, etc., and not understanding molecular chemistry – this is one very important question that keeps entering my mind. Thank you again for your many articles and all the help you provide, it is all much appreciated! The enzymes need more extended contact with bacteria than they get in the intestinal tract to harm them. Once you build up levels in the blood, they work on pathogens in the blood 24/7. In the digestive tract, they are transient – and in fact, are absorbed into the bloodstream before they even reach the colon. They will not harm any established probiotic colonies in your intestinal tract. That said, you might not want to take proteolytic enzymes and probiotic supplements at exactly the same time as that would extend the time of contact with unestablished probiotics. Taking them 20 minutes apart on an empty stomach should be sufficient. I see you mention Nattokinase in your article but I do not see it on the ingredient label for your enzymes. Curious why not? The study published in Molecular Cancer Research (Dec. 18, 2012) shows the link of proteolytic enzymes PRSS3 to aggressive prostate cancer. Is it any chance that the enzymes in pHi could act similar way. There are several thousand “different” proteolytic enzymes in the body that regulate a multitude of processes in the human body. Each enzyme is different; each process is different. PRSS3 is a specific proteolytic enzyme that may be associated with prostate cancer. As you may have noticed, it is not listed in the ingredients of pHi-Zymes. To give you an analogous concept that may help you feel safer, it would be about like saying, “I read about a bacteria called MRSA that eats flesh. Is there any chance that the bacteria in yogurt could act in a similar way? As you can easily see in this example, different bacteria have entirely different properties – some harmful and some beneficial – and what one does has absolutely no connection to what others might do. I am sold on proteolytic enzymes but have been told that I have an old, mostly healed, ulcer, found on a routine endoscopy ( I could have told them that), and when I take them on an empty stomach I have severe pain. Any way I can get around this and utilize these wonderful God-given substances. I have several chronic health condition that could no doubt be helped by proteolytic enzymes. Digestive enzymes help with ulcers in two ways. First, they help digest so much of your meal during the 40-60 minutes of predigestion that your body requires less acid in the actual digestion phase. This means that taking digestive enzymes will help lower the levels of acid in your stomach. (Those who suffer from chronic low levels of acid need not worry. Digestive enzyme supplements help here too by breaking down so much food in the predigestion phase that less acid is actually required. And over time, decreased demand results in increased reserve capability.) Second, protease will begin breaking down the protective coating of the H. Pylori bacteria responsible for so many ulcers. In other words, it will actually begin to digest it. This is the prime reason digestive enzyme supplements are so helpful for those who have ulcers. A cautionary note. There is one concern when using digestive enzymes with ulcers — and that’s if you have a severe existing ulcer. What happens is that the protease can actually begin to digest severely damaged stomach lining tissue. This can cause noticeable discomfort for several days. To avoid this discomfort, if you have a severe ulcer, start with small amounts of the supplement with your meals and build up slowly. I’m a 64 year old man with cardio vascular disease (3 heart sents and 1totally blocked RCA. I have been taking a satin drug for about 20 years and starting to feel what I believe are the recognized side effects. Please note that high Cholesterol and CAD has been in my family Grandfather died on heart attack at 40years mom did better after bypass surgery lived to 70. It looks to me that at a minimum I should be taking a CoQ10 supplement and perhaps a proteoyletic enzymes. Your recommendations would be most appreciated. Is there any evidence that Proteolytic enzymes can help or reverse early stage congestive heart failure? Same question re Atrial Fibrillation. I can’t find how to order the blood cleanse on this site. This is my wife’s email as she handles all of this for me. read about you in Cancer step outside the box. I am interested in trying this. Dear Mr Jon B your site with its most informative health topics was a blessing to me. for years I’ve become interested in natural healing with natural supplements and here it goes I found you, I down loaded the Dr. Miracle book read it in 2 days and discover that even when you think your doing something right you may not be doing it CORRECTLY. THANK YOU for your years of heard work thru research, travel time, improving exiting supplement an all the good stuff in behalf of humanity. I as well as billions of people will begin to enjoy a healthier EXISTENEC and with continues education and reeducating ourselves using your indebt knowledge we can begin to enjoy LIFE. Today I can begin to heal not just using the rite combo of supplements but using them CORRECLY. Hi Jon,I have been involved with and are very excited about the whole wellness industry.Your information is absolutely amazing and I have researched and spoken to a lot of very brilliant people around the world and I have to say you are my pick.Your description on topics is brilliant,very easy to understand and follow. I have a lot of questions for you but one that I would like your view on and it follows recent discussions I have had with a leading Cardiologist and some Naturapaths in regards to the safety of using Serrapeptase or in your preference Serepia. Their view are basically without going into major medical details – that the breakdown of calcified arterial plaque with the use of Serrapeptase can possibly lead to breaking up of the calicfied plaque and the fragmented piece or pieces cause blockages leading to strokes etc. Doesn’t supplementing with digestive enzymes send a message to the pancreas to stop doing its job? Would it not be better to provide the body with Bitters to stimulate the pancreas to create all the enzymes the body needs? Which much interest i read the above article about the enzymes. My partner has a serious blocked carotid artery, and there is not much they can do about it. We have tried serrapeptase without succes, and are really interested in using your product. He suffers from acid reflux, so that sounds like a good option. He also is diabetic (Type 2). Would there be any other supplements you advise? The company where i can order also doesn’t ship to France, is this not possible? Recently I read a new study from Stanford University regarding Alzheimer’s Disease. In the article they stated: The researchers found that, in mice, blocking EP2 with a drug reversed memory loss and myriad other Alzheimer’s-like features in the animals. Can my husband take this if he has fungus in toes…he has candida? My 16 year old son suffers from severe eczema. Right now, while the pollen is at its worst, he is going through a severe flare-up. He’s been through food allergy & intolerance testing and offending foods have been removed from his diet, but there has been little relief. Can you recommend any enzymes that would possibly be helpful for him? (Also, one of the foods he is allergic to is soy which is included in many supplements.) Any help would be immensely appreciated. Thank you! Can the enzymes break down scar tissues in tendons? I’ve been dealing with Achilles tendinosis for years and now plantar faciitis, and I’m sure there’s some scar tissue there. I’ve been on a strict paleo diet for a week now (30 day gut cleanse) and am interested in enzymes if they might help. Actually, are you familiar with platelet rich plasma injections for chronic tendinosis? If not, you might want to search it out on the web. Dr. Baron, I have used your P-Zymes for two years and I hold them significantly responsible for ending my recurring pneumonia and for reducing lung scar tissue. Thank you so much, my lungs now function so much better and there is no more chronic congestion. Meanwhile, my husband started taking the enzymes 2 weeks ago (4/day) in lieu of accepting warfarin as a blood thinner. However, he has also been taking two-2000 FU nattokinese tablets so now he’s taking around 4,500 FU’s of nattokinese daily. Might there be side effects (dizziness or?0 from this dosage? Thanks again. If you would like a testimonial on the enzymes, I’m happy to write a special one! As Jon Barron frequently says, “Too much of a good thing is bad. No matter how healthy something is, if you overindulge in it, disease will result, not health.” If you take too many enzymes that inhibit clotting, then you can have an increased tendency to internal bleeding. One indication that you’re taking too much is an increased tendency to nose bleeds. And yes, we would love to read a more detailed testimonial as to the results you’ve had on the pHi-Zymes. I HAVE RA WILL PHI-ZYMRS HELP OR WOULD YOU SUGGEST SOMETHING ELSE. I just started a parasite cleanse, with the herbs taken 2X/day, 1/2 hour before a meal (so the bacteria are hungry to eat their poison). My gut is swiss cheese thanks to the parasites, & I haven’t eaten animal protein in months because they get into my blood, poison me, & cause anger/anxiety, etc. Are the enzymes something the parasites would enjoy eating? I’m already dehydrated, it can become unbearable if I take a serrapeptase or wobenzym (similar effect from anmal protein), and while I’d like to take regular doses of your enzymes to help with the die-off, I’m concerned it would feed the parasites: In which case, can I take them 1/2 hour after the parasite cleanse, then wait an hour to eat? Thanks. Not sure what herbs you’re taking, but in general, parasites don’t “eat” the herbs. Anti-parasitic herbs such as wormwood, black walnut hulls, and garlic contain bio-chemicals that are toxic to the parasites. It is the bio-chemicals released by the herbs that kill the parasites. As for proteolytic enzymes, again, the parasites don’t eat them. The proteolytic action of the enzymes eats away at the protein component in the cell walls of the parasites, causing them to self-destruct. Hi, my 18 year old daughter has just been diagnosed as being dairy intolerant (proteins,not lactose) would taking a protease enzyme help her. She is really struggling at the moment as dairy seems to be in everything. Best piece I’ve ever read re Proteolytics. I had bursitis in my left arm. Couldn’t raise it up w/o moderate pain. Health food store looked it up in the Balch book. I tried proteolytic enzymes. Aspirin or ibuprofen had not helped. 20 min later, pain was gone! I called my client’s health food store and told the assistant who had helped me placebo effect, he suggested. No way, I was a big.doubter! They continued to work well. Years later, getting on to the y lift at hunter west, my left leg slid on the ice mound that was often there. It’s been re-designed. Heard a pop and left leg went out from under me, with a warm feeling, in a very weak knee. Significant pain followed with the leg knee often giving away w/o warning. I found dr Keith McElroy, a brilliant orthopedic, head of surgery at Columbia Presbyterian, in NYC. Spent over an hour w me. Gave me a shot of a benign, non-lingering steroid. Said to come back if I needed another. Didn’t have to. Told me pain did NOT mean damage was being done. A low salt diet would help. It did. Keep the knee warm. Gave me a daypro scrip. On several occasions, I used the Proteolytics instead of daypro. Only lasted 4-5 hrs, but actually worked better at relieving the inflammation. Dr McElroy skiied at 88 yrs old. I did use the Proteolytics numerous times after that, w varying results. Didn’t seem to work on muscular well. Better on tendons and ligaments. Mine was the acl. Tendinitis from what I’ve heard is often a sprained ligament. Tine to try yours! This info is most helpful however no links to products or any products / brands suggested. I’m in Australia are there any products/brands you highly recommend that I can purchase? Is it possible to give proteolytic enzyme formula to cats? I have one male that is approx. 24 pounds and a female around 15 pounds. They recently caught parasites (round worms) and I’m looking for something natural. I use the Proteolytic formula myself and if it would help my cats, I can give them some as well. Keep in mind that pets don’t always respond to things in the same way that people do. Chocolate, for example, is poisonous to dogs. That said, if you’re talking about parasites, the Baseline formula that addresses that is the liver tincture. But again, that has not been tested for efficacy or safety with pets. Would this be helpful in treating the pain from chronic pancreatitis (essentially, inflammation of the pancreas)? I am already taking the digestive enzymes with meals for the pancreatitis. Also, do you know if this is safe to take during pregnancy? Thanks! For obvious legal reasons, we can’t diagnose or prescribe for specific medical conditions—merely provide information. With that said, there are studies that demonstrate some benefit in using supplemental proteolytic enzymes in dealing with pancreatitis, but obviously, the results would likely be different given different causes of the pancreatitis. And of course, if you are pregnant, you would want to run any supplements by your doctor before taking them. I can see from your answer earlier, I need to take both the proteolytic enzyme formula and a digestive enzyme, which product do you suggest I purchase; rhe CMIK-pH and what digestive enzyme? I will be ordering this now as I need something quick. I’m rapidly gaining weight because I don’t digest any food nor vitamins. I can attest to the information I just read in the “The Best Proteolytic Enzymes Formula | Barron Report”. Starting in 1999, I was working in the IT department of an Enzyme company out of Houston, TX. While typing information and reading material, I learned about Enzymes. Since I received the Enzymes at cost, I began taking the maintenance dose and continued to supplement with Enzymes during meals until 2008. At the time, I did not recognize my underlying health issues, I just knew as a teen I became allergic to shellfish and around age 27 I appeared to become allergic to milk products. The Enzymes worked better than I knew at the time, because two years after stopping the use of any Enzymes (2010), my health began to decline slowly until Jan ’15 all systems crashed and I seemed overnight to be Allergic to all foods, all environmental triggers. Three months later I was rushed to the E.R. for the first time in my life. At first, I did not correlate no longer supplementing with Enzymes, for the past years had any involvement in my health declining. I began purchasing basic Enzymes two month ago to use with food, until I can afford more to get back on a repetitive dose. In retrospect, I should have known for two major reasons. First, my Grandfather, my Mother and myself all have issues with Sulfites/Sulfates and major sinus reactive allergies. Second, when I was still working at the Enzyme company, my Mother was diagnosed with Brest pre-cancer cyst and possible cancer. I talked with people at work and they suggested beginning her on Protease 375,000 and slowly work her up to a dose of 15 capsules a day. After, 3 months on the protocol, she returned from a check-up with a funny story. While the Technician and others began the scans, they had to stop to ask her a question. “You are here because of 22 cyst right?! ?”after double checking their files, they had to inform her she did not have “Any” cyst in the new scans. Thank you for this wonderful article, Jon! Because of your article, I started looking into the papaya enzyme Papain, and I found on PubMed two research articles showing how a Papain diet suppresses and reduces cholesterol in mice and rabbit! Are proteolytic enzymes or enzymes in general harmful towards fertility and/or during pregnancy? That said, as with all supplements, follow directions and don’t overdo them. Thanks for all this information. I have a question for a friend, is it safe for nursing mothers take Proteolytic / Systemic enzymes? Please see answer above to the same question. We have no information on children using it for cystic fibrosis. I’m going to put this to the test with your formulas. Can you direct me to a product that will help eliminate dental plaque? Is there a possibility of reversing gum disease? A segment of my ascending colon and a portion of my ileum we’re used to create a substitute bladder (Indiana Pouch). As a result, I must take certain supplements (B12, D3) subligually to overcome the resulting absorption issue associated with the loss of a part of my small intestines. What guidance can you offer regarding my ability to effectively absorb a systemic enzyme product and any options to facilitate the process despite my situation? As you will have noticed in the article above, systemic enzymes are absorbed in the small intestine, well before they reach the ileum and colon. I have Ulcerative Colitis in “remission” from the immune suppressant 6-Mercaptopurine. I have been taking pHi-Zymes for about 45 days. I feel phenomenal—the best in 30 years. I just got a C-Reactive Protein result of 0.4! Only half of my best ever. I think your systemic enzymes are the reason. One question, is there any reason pHi-Zymes would be a conflict with the immune suppressant? I can’t think of any. Thank you for sharing your great results! In answer to your question, pHi-Zymes would not likely present a “direct” conflict with immune suppressant drugs. Theoretically, though, it might (possibly, maybe) present an “indirect” conflict under the following scenario. pHi-Zymes clean out allergenic proteins from the bloodstream and circulating immune complexes from soft tissue. This frees up the immune system, which was previously occupied dealing with these issues. This potentially gives you stronger immune function, which would normally be a good thing, but may run counter to the intent of the immune suppressant drugs and might require an adjustment in dosage. The bottom line is that this scenario is purely hypothetical. In the 14 years that pHi-Zymes has been available, this is the first time that anyone has informed us that they are using pHi-Zymes while using immunosuppressants. Please keep us informed of how it’s working for you as this can be shared with anyone who might follow in your footsteps. PS: Your CRP results are certainly in line with what might be expected considering the ability of proteolytic enzymes to control inflammation systemically. As a 68 year old British woman with increasingly debilitating osteoarthritis, I take a lot of supplements and avoid pharmaceutical remedies. I find Jon Barron articles and explanations very illuminating and have recently started on digestive enzymes to help with IBS, which I have managed for years with healthier food choices. My query is I can only use the guidelines he offers for his supplements as the products are not available in the UK, unfortunately. Shipping costs are prohibitive, and I wonder if you have a UK distributor in place or would be planning to, to help your overseas devotees have ready access to the best formulas at reasonable cost. You have options! However, the Foundation does not sell any products. We are purely a non-profit, online health information service only. All of Jon Barron’s formulas are sold by http://www.baselinenutritionals.com. Any customer or product related questions need to be directed to: contactus@baselinenutritionals.com. Where do I purchase this? The Foundation does not sell any products. We are purely a non-profit, online health information service only. All of Jon Barron’s formulas are sold by http://www.baselinenutritionals.com. Any customer or product related questions need to be directed to: contactus@baselinenutritionals.com. My girlfriend had a collapsed lung around 2 years ago and still has some occasional pain which the doctor ascribes to scar tissue from her operation. I am considering giving some phi-zymes to my girlfriend to dissolve the scar tissue. Is there any risk the enzymes will also dissolve the (non living) glue that was used to attach her lung back to her chest wall ? I am confused about purchasing the best proteolytic enzymes for treating inflammation. Do you recommend any specific brands? I wish to try this but don’t want to waste money and effort on inferiot products. Can dogs take proteolytic enzymes? There are no enzymes in dog food. If yes, what might be the doseage for a 90 pound Labrador? Thank you for a great supplement which I have recently started taking. For obvious legal reasons, we cannot diagnose or prescribe. That said, SIBO is, by definition, a form of dysbiosis—an overgrowth of bacteria where they don’t belong. In this case, we’re talking about an overgrowth of bacteria in the small intestine. In a healthy small intestine, you will have beneficial bacteria, just in much smaller numbers and different strains than will be found in the large intestine. With SIBO you have overgrowth, and even if those are beneficial bacteria, an overgrowth is an overgrowth—it’s dysbiosis. The trick in dealing with SIBO is use herbs to help bring down the overgrowth, and then use probiotics—in very small amounts—to slowly but methodically rebalance the small intestine with the right strains and the right numbers. Work with an alternative health practitioner. I am in dire need of using the pHi-Zymes supplement to assist my circulatory system due to PAD…especially in my feet. I also have scar tissue I need removed. My concern is the umbilical hernia mesh I have in place. I’ve been searching high and low for this answer, but haven’t had any success. Jon’s expertise in this area is much needed. Will the enzymes adversely affect the mesh and cause problems down the road if I use them? I know there has to be scar tissue involved with the mesh.If the enzymes were to cause problems in this area due to the mesh, is there an alternative to removing plaque from the blood vessels in my feet that can aid in the removal of plaque build up in my circulatory system? Would another option be Nattokinase used by itself, or possibly another option? I hope you can help me with this, so I can get started as soon as possible. Thank you in advance. Going to give it a try. Had planned on getting enzymes that had Serrapeptase for it’s ability to eliminate Fibrin which I believe is one of the major health culprits, but you seemed to have that covered. Where can I buy the proteolytic enzymes? I enjoyed reading your article. I’ve have had RA for 19 years. I am 62. My problem is that I am extremely sensitive to a lot of foods, and more specifically, to seasonings or herbs. If I eat a prepared food, the seasonings that it was prepared with will cause me joint pain, specifically in my hands/arms. Everything seems to bother me: cayenne, turmeric, cumin, oregano, arugula, red pepper, etc. The only few things I can prepare my food with is garlic powder, onion powder, salt, and black pepper. That’s it! And it’s not a good idea for me to use salt at all because I swell very easily. But my point is that your blood cleaner sounds great, but there is no way I could tolerate it because of the herbs in it. I have no doubt that I have leaky gut. I’ve been taking meds like prednisone, plaquenil, arava, Enbrel, etc for 19 years, however, I’m off of prednisone and plaquenil now as of last February, but that’s still a long time having to take it. I was wondering if you have any suggestions or have you heard of anyone with really bad sensitivities to the point where they are extremely limited in what they eat? And what’s making me miserable is that I’m ALWAYS HUNGRY! To have a limited diet and always hungry, always craving salty/sweet foods is making me miserable. Thankfully, I don’t have and have never had a weight problem (5’4″, 110 lbs). BTW, I turned vegan about six years ago, however, I’ve been going back and forth a little, sometimes eating a little chicken or beef. But I will don’t have any intentions of going back to dairy or pork at all. Well, thanks for listening,or reading!